See his full Holiday 2016 collection here. 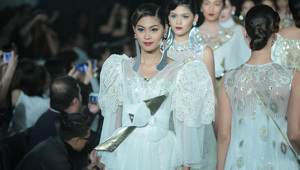 Philippine Fashion Week made the right decision to pick Cherry Samuya Veric to close this season's festivities. 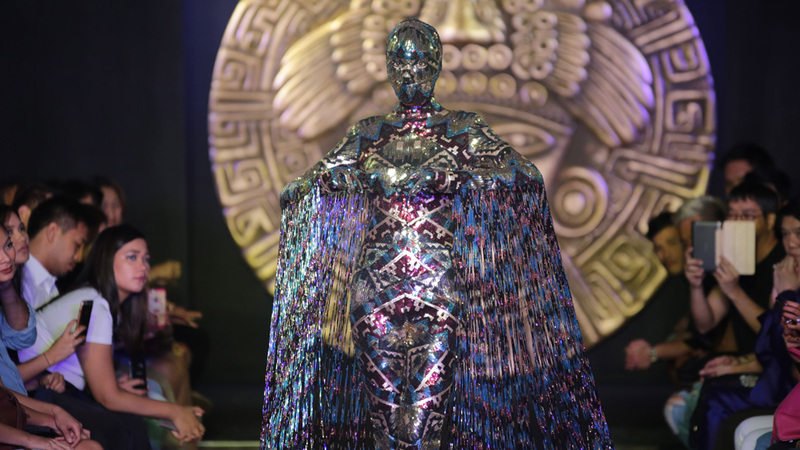 Infusing indigenous prints with modern forms, the talented designer showed true workmanship and skill by parading a battalion of intricately patterned, haute couture pieces. Needless to say, he closed the season with a bang by creating a fully sequined look, literally from head to toe. Launch the gallery to see the full collection.